Buffets are outdoor nature of table and often can be seen at outdoor for meals and dinners while there is going on a party, wedding or any social event. 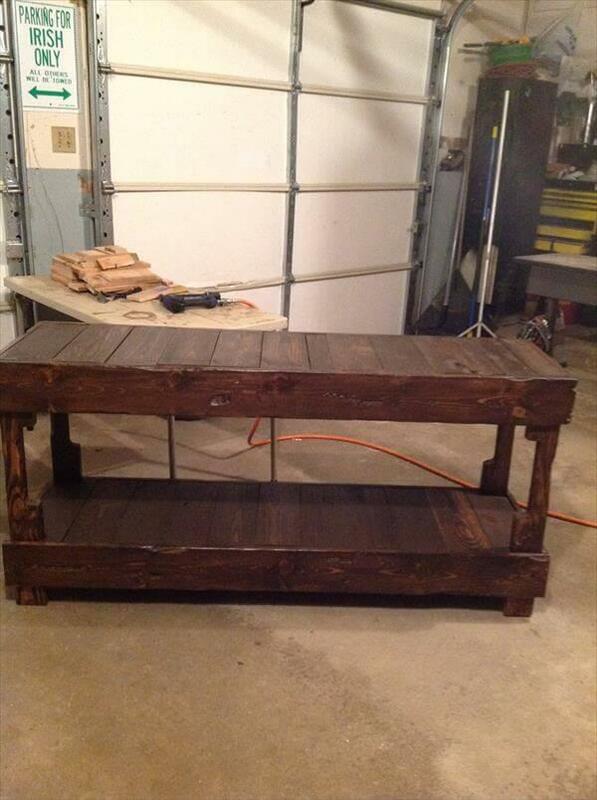 We have also handcrafted a DIY pallet buffet table for home family fun and night dinners. 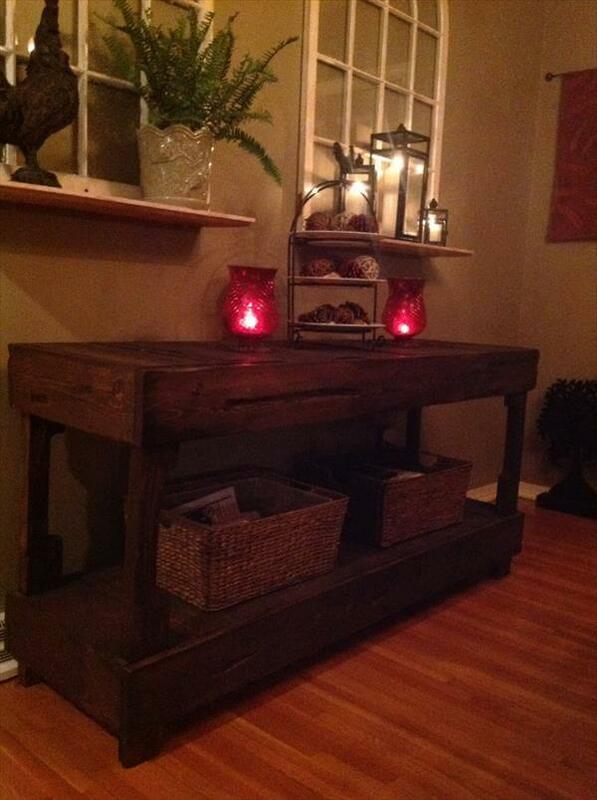 We have cleverly designed it using the stripped form of pallet which involves just some rectangular long planks. To tear apart the pallet can take a lot of muscle power if you are doing it without any proper tool, you can make use of spy bar or pry bar to strip the pallets up without any trouble. This DIY pallet table was a dire need of our home and we want to spend a little due to short budget so this pallet wood solution worked very well to have it with our own hands at home. 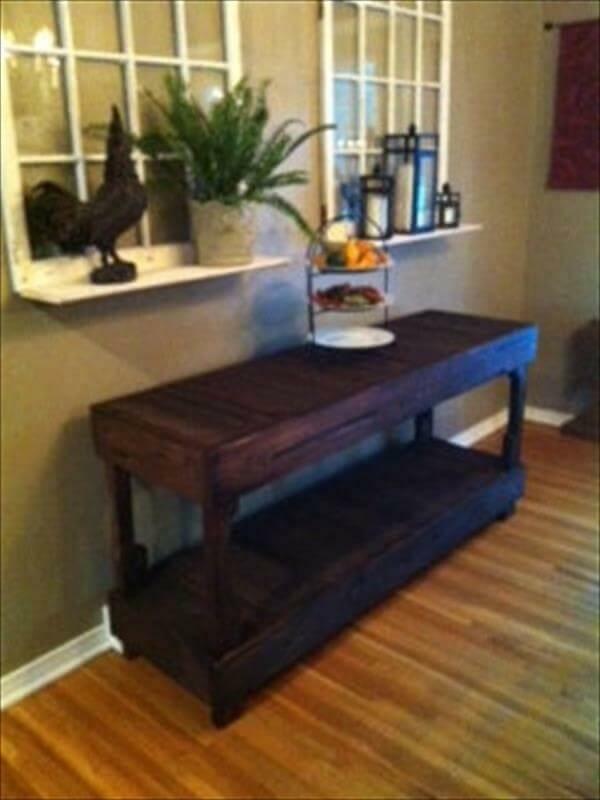 There are lot more DIY pallet crafts which can be overcome in a much handy way to make your home work well with all types of wooden commodities and DIY pallet furniture.